Now given my reasons for wearing gaiters I don’t tend to do things by halves so I want a model of gaiters that is going to provide maximum protection and my current choice is the Sea to Summit Quagmire Event Waterproof Gaiters. 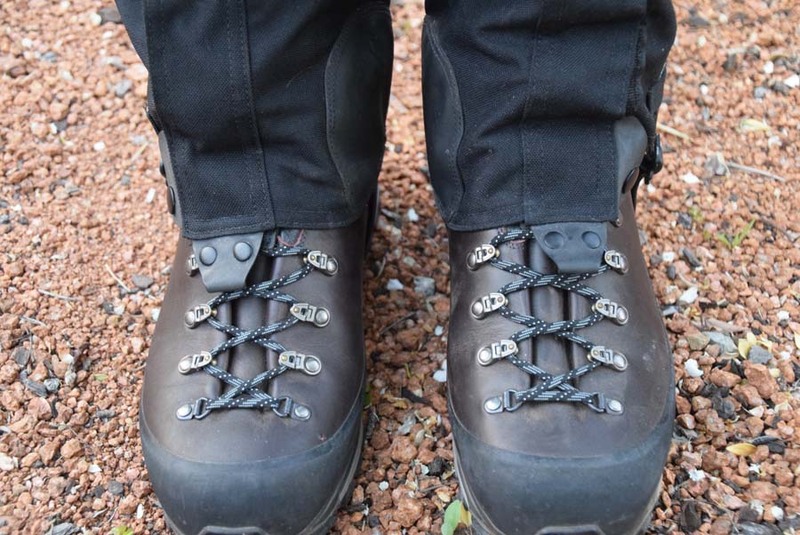 These gaiters have been around for a number of years and while there has been tinkering around the edges they have essentially remained the same. I bought my current gaiters about three years ago and while there has been a minor change to their construction they remain the same. 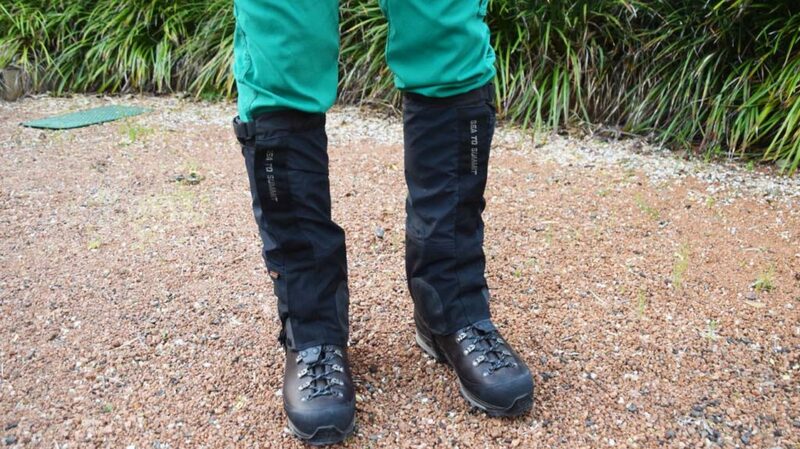 The last time I wore these gaiters on a trail was on the Larapinta Trail when there was a concern about spinafex. I soon discovered that unless I went off trail my gaiters weren’t needed so they were back in my pack pretty quick. 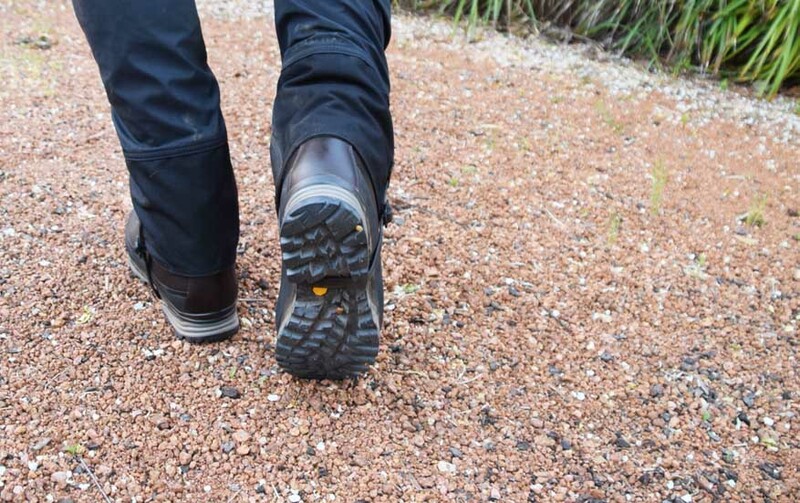 I did take gaiters on the Overland Track but opted for a shorter version just to keep the mud out of my boots. As many of you are aware, I have size 14US feet and this means there are limited choices of footwear but this also translates to things like gaiters. When I am wearing my industrial strength Scarpa SL Activ Boots they push the friendship on the gaiter fit. I wear a XL size gaiter which is the biggest available and they are slightly on the small side. I would prefer it if Sea to Summit made a XXL option but alas I have to make do. 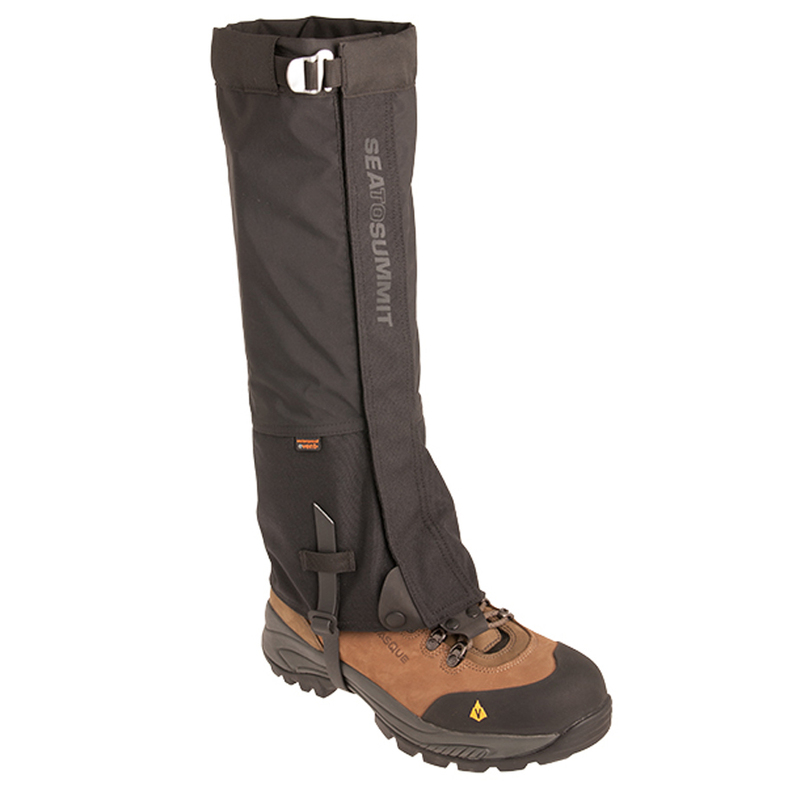 Sea to Summit makes a range of gaiters and this model is considered to be their top of the line. 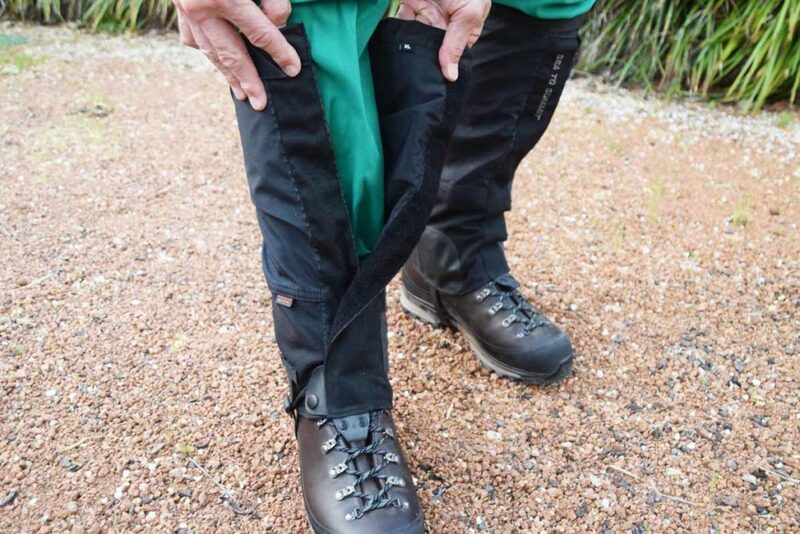 The Event material used to manufacturer these gaiters allows sweat and moisture to vent from the inside of the gaiter but prevents waters penetrating from the outside. I have found this to be very effective in all circumstances but obviously with the exception of immersion in water. 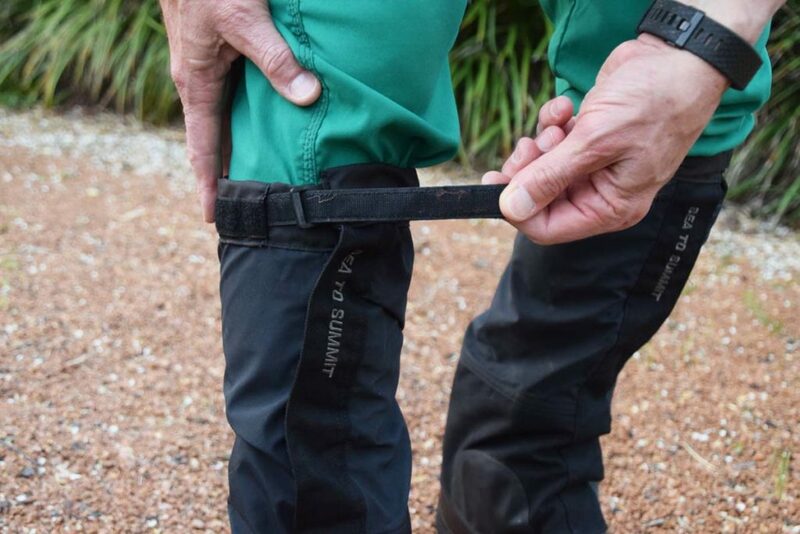 The opening mechanism on these gaiters is velcro and this 50 mm wide opening at the front provides an additional degree of shin protection as well as making it pretty easy to put them on and take them off. 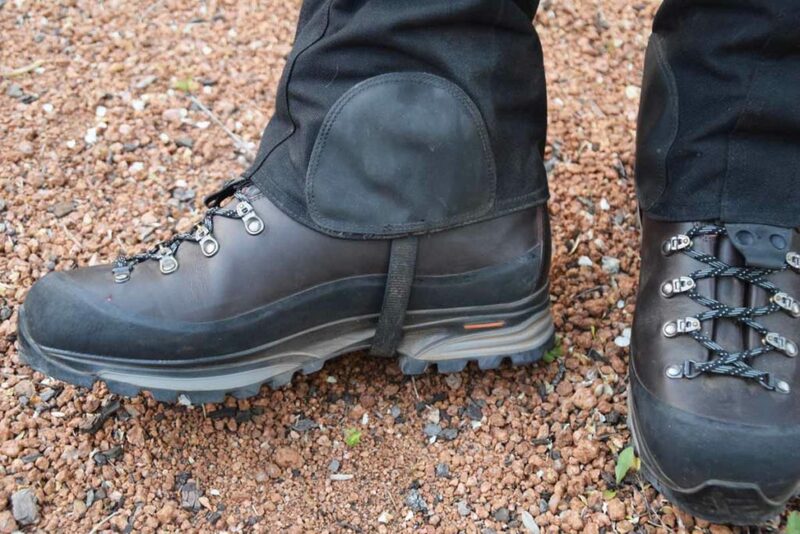 There are scuff guards on the inside of the ankles that also prevent wear on the gaiters from the opposite boot. These gaiters are unisex. The underfoot step is robust and also replaceable and as an infrequent gaiter user, I’m still on the original straps even after three years. The gaiters themselves are fairly lightweight and even my XL version only weigh 379 grams which means you aren’t going to notice the additional weight. I can’t speak to how comfortable these are to wear with shorts but even after a long of wear with long pants I still find them very comfortable. So if you are after a pair of gaiters for some serious leg protection then you can’t go past the Sea to Summit Quagmire Event Waterproof Gaiters. Please note that our affiliations do not influence, in any way, the independence of our gear reviews. If we don’t like a product, you’ll be the first to know!